Home / Team / Joseph Giglio Jr.
Joe Giglio is an experienced lawyer who handles business and corporate litigation, including disputes involving trusts, estates, and successions. Because it’s best for the client, he tries to solve problems outside of litigation, looking for the shortcut to the finish line – “My job is to get clients out of my office and back to work.” Joe is also a trained mediator brought in by other lawyers, because he is known for resolving issues in a challenging environment. Joe's list of recent clients includes family members embroiled in business and succession disputes with one another, business partners in conflict over contractual, fiduciary or other corporate responsibilities, and investors and owners - often in the oil and gas or real estate industries. In a recent suit for termination of a trust agreement, Joe represented the trustee. The plaintiff had asserted that she was a beneficiary and wanted her money now. "It was not in the best interest of my client to entirely terminate the trust, so I advised my client to consider a partial distribution. When that was proposed to the plaintiff, the problem went away." In another case, family disputes threatened the vitality of a long-time successful local business. Joe recommended mediation of the disputes, which resulted in a corporate restructure. The family avoided litigation that would have devastated their company. Joe represented the executor of a will where on family member claimed the will was invalidly executed. "I helped come up with a plan to address the family's needs and mediated the case to settlement, saving a lot of time and money for our client." Joe has resolved hundreds of business, corporate, real estate and succession disputes through mediation, litigation or arbitration. "Estate planners in South Louisiana have me on their referral short-list when their clients have contentious issues and disputes." 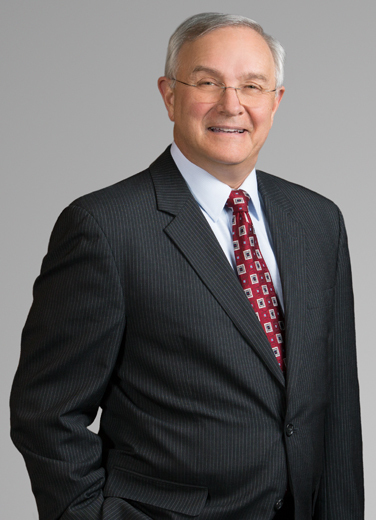 In addition to succession-related litigation and mediation, Joe has handled law suits involving a wide variety of corporate and commercial issues in the Lafayette area. Joe is an active member of the Lafayette Parish Bar Association and serves on one of the Louisiana Attorney Disciplinary Board’s Hearing Committees. He's a former president of the Lafayette Parish Bar Association, Lafayette Parish Bar Foundation and the Greater Lafayette Chamber of Commerce. "I focus on finding the shortest distance between two points, an approach that wasn't taught in law school. I'm passionate about taking care of my clients and putting them first - whether that means returning calls and emails promptly, or anticipating their needs and keeping them properly informed. I love calling them to say 'I've been thinking about your case…and I have a solution." "It also means being civil and professional. I can be tough and unrelenting in the courtroom when I need to be, but often informal discussions work better at getting things done. I tell my clients that my job is to get you out of my office and back to business." "For example, I often get cases referred to me because I have a reputation of resolving disputes. In one such case, the two disputing parties actually wanted to come to an agreement without litigation, but their lawyers were being bulldogs. I took the case, listened patiently to both sides and got them to the bargaining table after they'd been unsuccessfully trying to do that for a year. We mediated a resolution, acceptable to both sides, at a fraction of the expense they would have incurred otherwise." "I love to learn. I traveled recently to Cuba, for example, out of a curiosity about the people and culture. I waded in the Bay of Pigs. Last year I went to Ireland, Turkey and Greece, and later this year, I am going visit Austria and Germany." "I like to come into the office and work Saturdays. It's a good, quiet time when I can think and get things done."